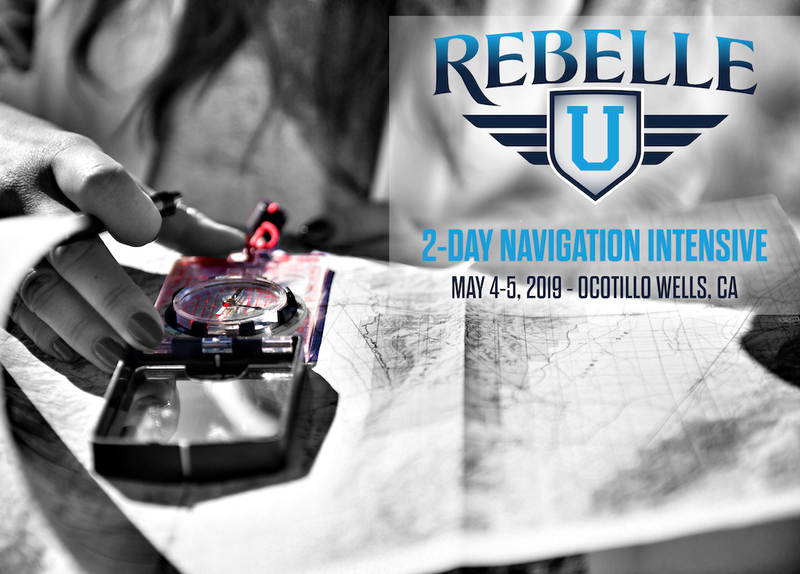 Join us for our Rebelle U all-navigation intensive course in our outdoor Southern California desert classroom in May. This is a rare opportunity you do not want to miss specifically tailored for not only the Rebelle Rally, but other vehicle-based adventures and rallies. Days will be spent with founder Emily Miller and X-games Gold Medalist/Professional Navigator and Rebelle Head of Scoring Chrissie Beavis as they walk you through map reading, plotting heading and distances, compass reading, triangulation, roadbook reading, and other imperative navigation-based topics and exercises. Partners and vehicles are not needed, and all levels are welcome. To learn more and sign up, visit http://bit.ly/RebelleUMayNavOW. Reserve your spot now – this opportunity may not happen again!